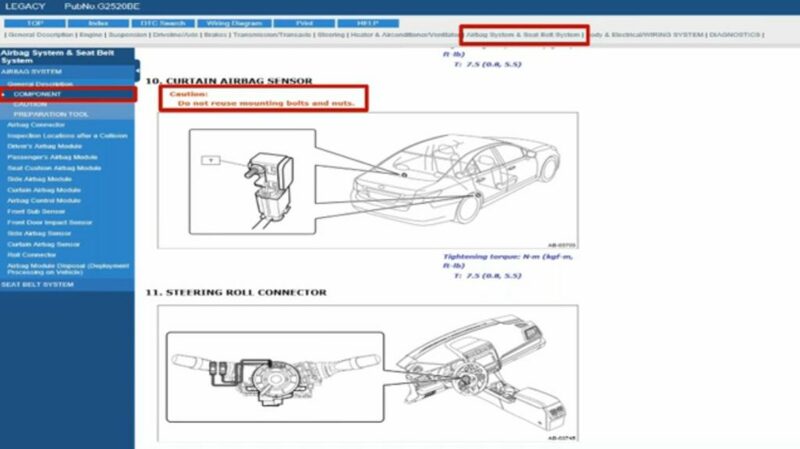 The second part of Collision Advice’s two-part webinar series on Subaru procedures was full of pieces of repair trivia and advice, including the revelation that Subaru EyeSight can require shops to use OEM windshield wipers. “Use Subaru genuine part only for wiper blade body and blade rubber,” Subaru directs in a section related to the EyeSight advanced driver assistance system on the Impreza/Crosstrek. The ADAS suite relies in part on two cameras mounted behind the windshield, which gives the artificial intelligence a stereo view of the road. 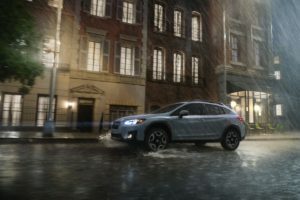 “Using the part other than genuine part will affect the recognition of the stereo camera, which may cause the function not to operate correctly,” Subaru wrote of the windshield wipers. “Ladies and gentlemen, it’s important that we use OEM parts even on something as simple as a wiper blade,” Anderson said. Subaru also told shops not to use “damaged blade rubber” on a vehicle. The windshield itself should be OEM, Subaru wrote in a 2017 position statement. Anderson also demonstrated earlier in the broadcast how Subaru requires specific urethanes for the window glass on an Impreza/Crosstrek. The instructions related to EyeSight might be more common than the two models represented here. The ADAS suite was available on all 2018 Subarus except for the BRZ. In the 2019 model year, it even comes standard on the Forester, Legacy, Outback and Ascent. The webinar also demonstrated a couple of Subaru specs that collision repairers and mechanics might have overlooked. In a section related to diagnostics on the Impreza/Crosstrek transmission, Subaru’s preparation for learning demands that the ATF temperature shown on the Subaru scan tool is between 104-149 Fahrenheit (40-65 Celsius). “One of the things that we’re really concerned about from Collision Advice is that when you go to do a diagnostic scan … are you allowing the vehicle to get to operating temperature before you perform a scan?” Anderson said. But the installation needed the proper torque, according to Subaru: 7.5 Newton-meters, 0.8 kilogram-force meters or 5.5 foot-pounds. Anderson said “I don’t believe a lot of people” were looking up the proper torque when they installed the parts. Subaru’s repair procedures for the Impreza/Crosstrek also contained pre-delivery inspection instructions, which Anderson said were intended for dealerships to perform before they sold a new car to someone. However, he said he thought many of the items should be added to a collision repairer’s quality control process. “I really thought this made a lot of sense,” he said. The Subaru delivery check included “a lot of things,” that repairers needed to consider, he said: Was the vehicle dirty? Were the tires at the right pressure? Was the child safety lock on? “I could spend all day just on this pre-delivery inspection,” Anderson said.